It’s often healthier and free of potentially harmful pesticides. Soil-grown and free of chemical fertilizers, it typically tastes better. It’s almost always well-crafted, well-cared for cannabis, grown by diligent artisan cultivators. Knowing this, it may come as a surprise that legally, there’s no such thing as organic cannabis! 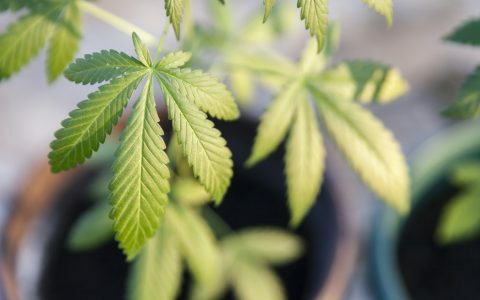 Because cannabis isn’t legal under federal law, the U.S. Department of Agriculture will not certify cannabis products as organic. To help clear the confusion, organizations like Clean Green have created private organic certifications for cannabis. Unfortunately, these certifications can be prohibitively expensive for small operations. 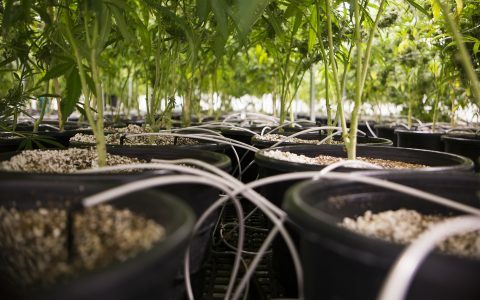 The result is that very few cannabis farms have been officially certified as organic. So what’s a healthy cannabis enthusiast to do? 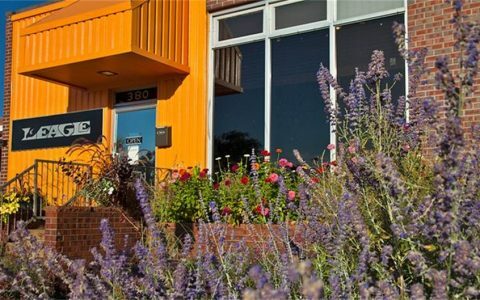 I’ve put together a list of Colorado dispensaries that do their best to meet or exceed organic standards. 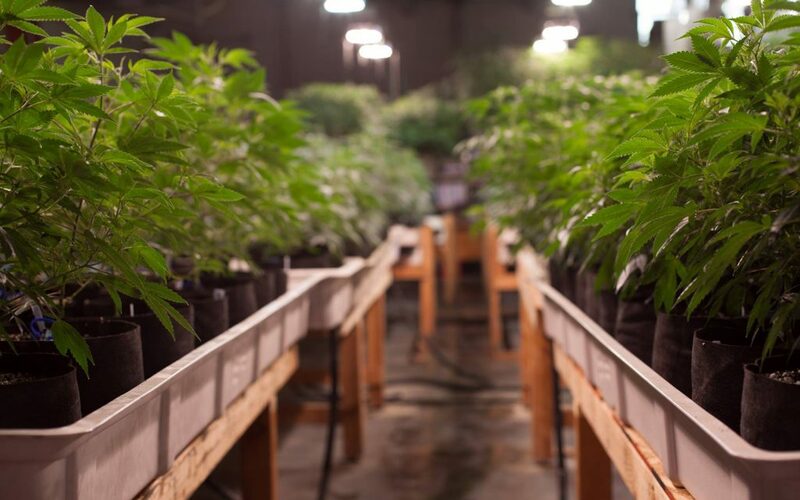 A leader in best practices since 2010, L’Eagle is the only recreational indoor grow facility in Colorado to receive the Clean Green certification. In 2016, they became the first cannabis company to receive a Certified Green Business designation from the Denver Department of Health and Environment. L’Eagle Services grows their plants in fully inoculated coco, and feeds them with beneficial microorganisms. They also sell clones of their organically grown plants. The most popular strain at L’Eagle is their signature strain L’Eagle Eagle. A cross between Candy Haze and Skunk #6, L’Eagle Eagle smells delicious in the display jar and looks great under the microscope. Natural Alternatives grows all their medical cannabis in an indoor facility. Although the high cost of third-party organic certification has (so far) prohibited them from seeking it, Cultivation Manager Josh Bowman works hard to ensure that Natural Alternatives’ grow processes and partners meet or exceed the standards he learned while working on a certified organic farm. These standards include integrated pest management and organically sourced soil. To meet high demands, Natural Alternatives sources 60-70% of product for recreational shops from partnered growers. If you plan to buy their externally sourced buds, check with a budtender to make sure they were grown organically. A celebrated sativa, this strain is known for its uplifting properties and citrusy, floral taste. Natural Alternatives’ Snowdawg won the 2011 High Times Cannabis Cup and took ‘Third Place Sativa’ in the 2016 Colorado Cup. 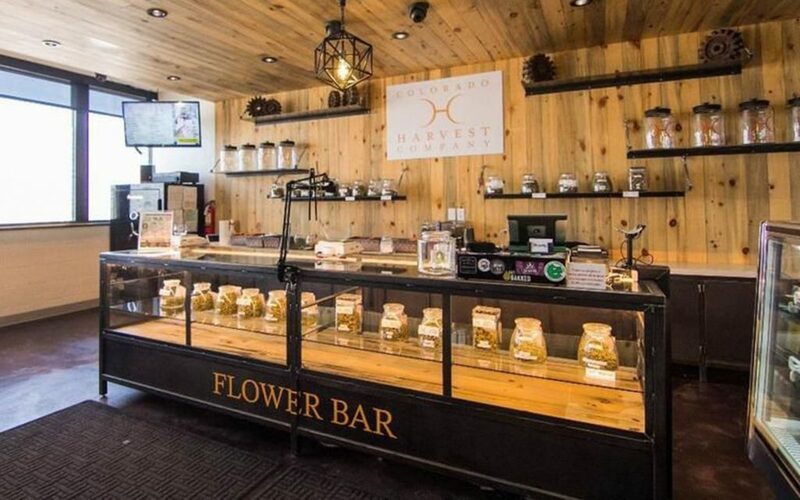 All the flowers sold at Colorado Harvest Company are grown exclusively in-house. Their growers try to reproduce the environmental conditions of Mother Nature—a significant challenge in an indoor hydroponic grow facility! They strive to exceed the guidelines set forth by the Colorado Department of Agriculture. Recently, 300 of their products received perfect scores on the Colorado Department of Agriculture tests for purity. 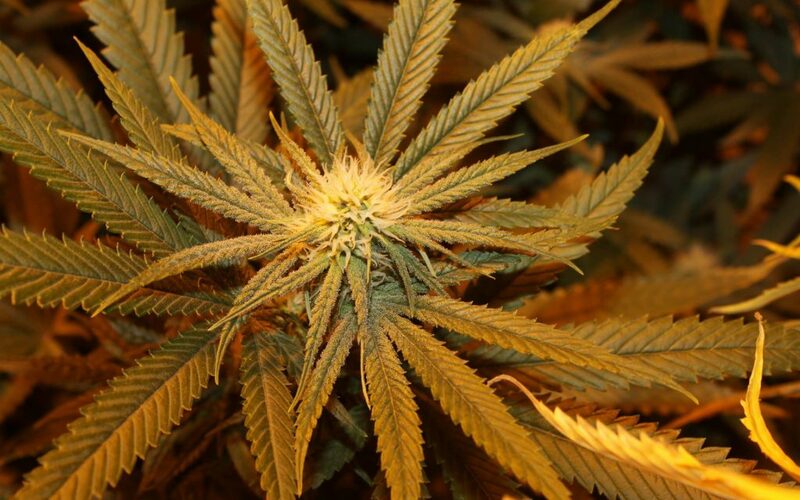 Colorado Harvest Company’s plants start as clones and are grown in a renewable medium with organic nutrients. They use integrated pest management, focusing on cleanliness and early detection to keep their flowers pest-free. At harvest, their plants are carefully trimmed and cured, and then packaged in nitrogen-sealed bags for optimal freshness. One of the most popular strains at Colorado Harvest company is Slazerbeam. A sativa-dominant hybrid of Super Lemon Haze and Gupta Kush, Slazerbeam is lemony while exhibiting hints of OG Kush on the inhale. 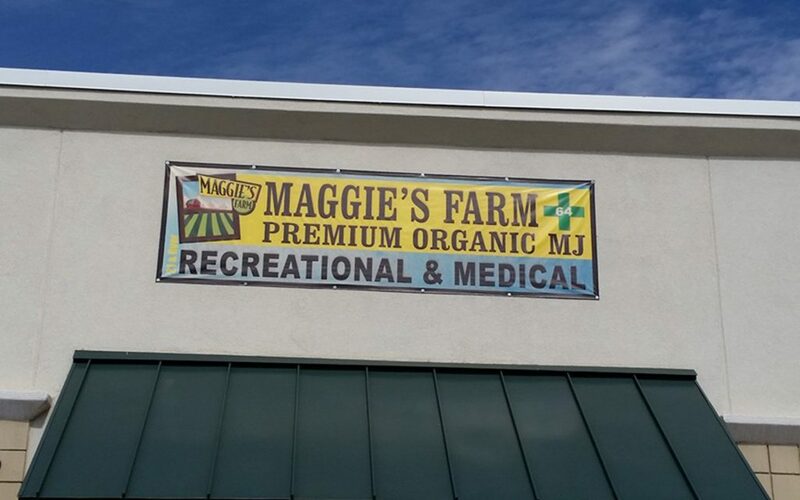 Maggie’s Farm never uses any pesticides or growth hormones. Their garden is watered with clean spring water. The plants are grown from seed in a custom-blended, 100% organic living soil developed by a master grower. Their flowers are slow-cured and hand trimmed. Maggie’s Farm is the most awarded cannabis company in Southern Colorado. In addition to four Leafly List awards from Leafly, they’ve won people’s choice awards from the Colorado Springs Independent newspaper for the past five years. Electric Lemon (or Electric Lemon G) is a sativa-dominant strain that combines G13 and Northern Lights #5. These pungent buds fill the air with the smell of zesty lemons before hitting you with an electrifying buzz that can easily lift your mood throughout the day.